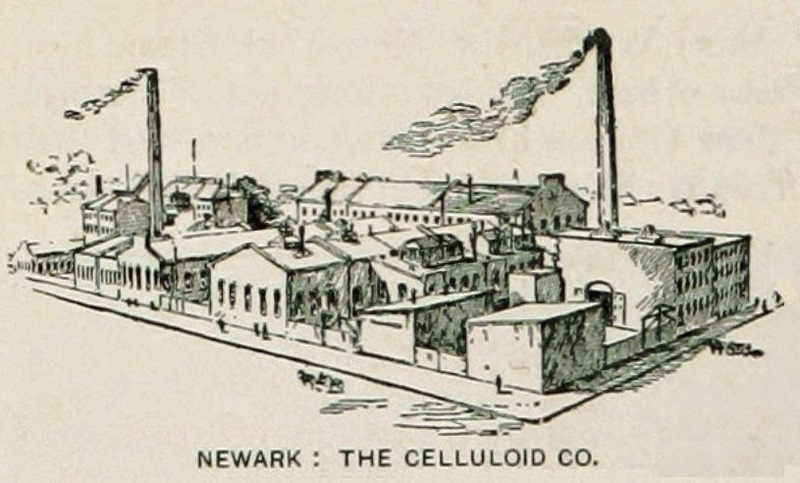 “Celluloid” was a trademark of the Celluloid Manufacturing Company. 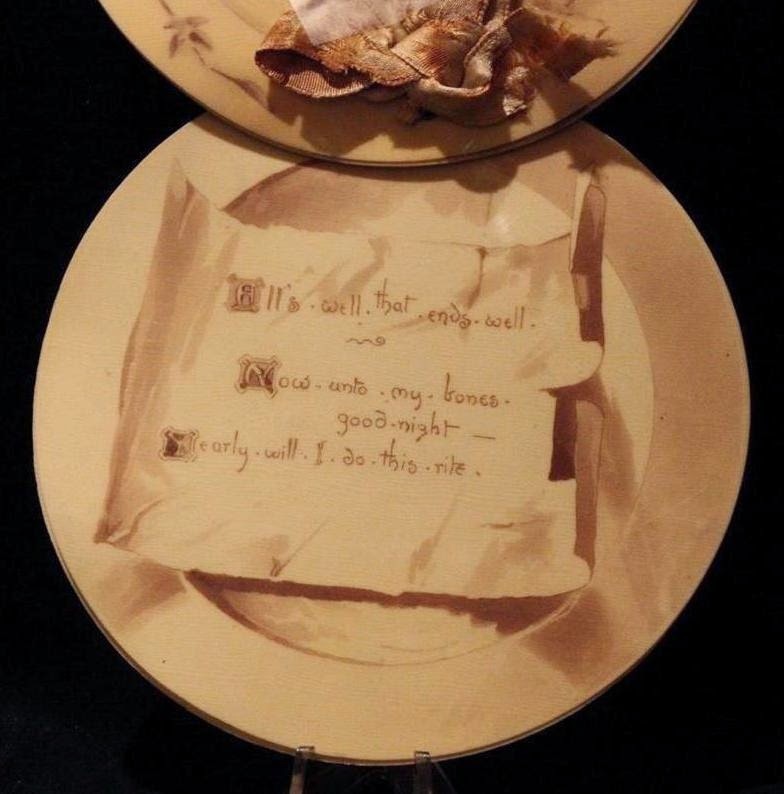 Made in sheets from camphor and nitrocellulose, celluloid was expensive and difficult to produce. After being polymerized, however, the resin is easily shaped. 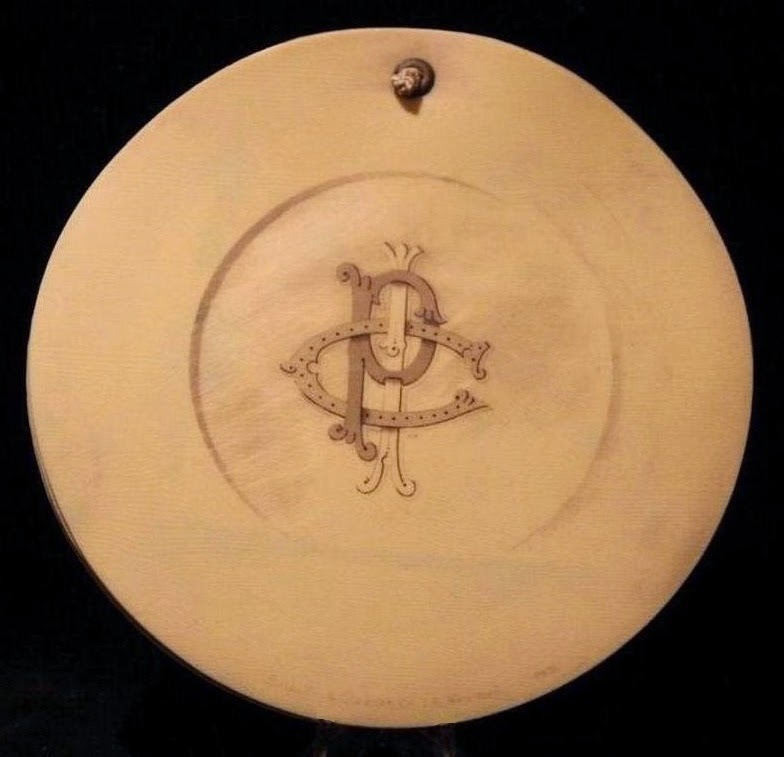 It was initially used to replace ivory in products like combs, brush handles, piano keys, and eyeglass frames. 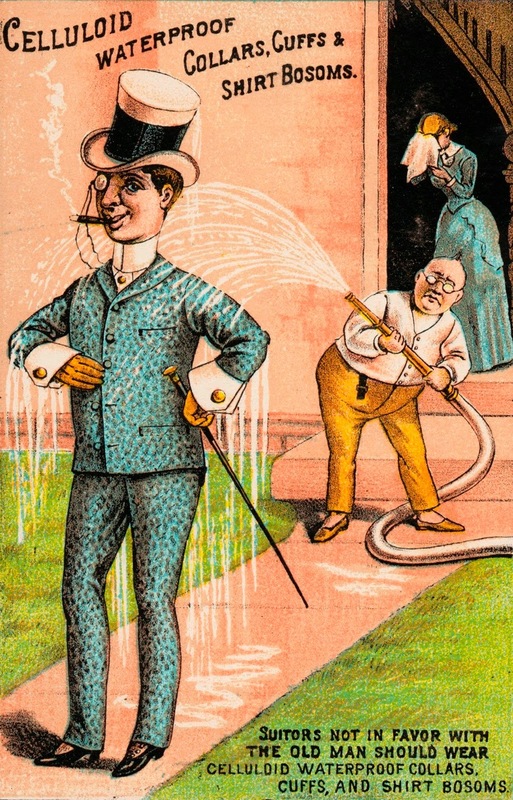 One of its largest uses was as a substitute for linen in detachable collars and cuffs, as comically advertised by this trade card from the period. 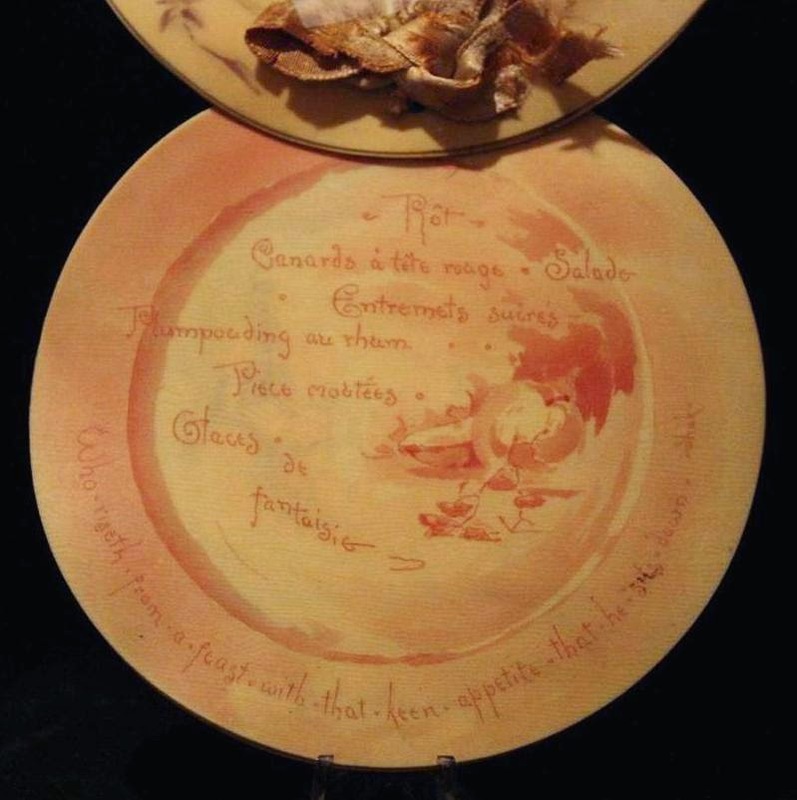 The cover of the menu below comprises two celluloid sheets bound with a pink ribbon. The bill of fare on the inside is printed on paper. 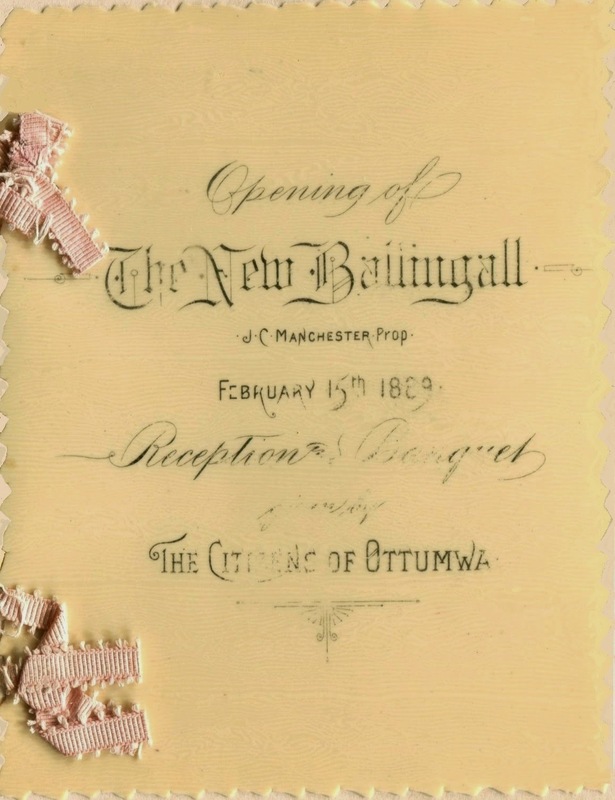 Dated February 15, 1889, it comes from a banquet celebrating the opening of the new Ballingall Hotel in Ottumwa, a prosperous town in southeastern Iowa. 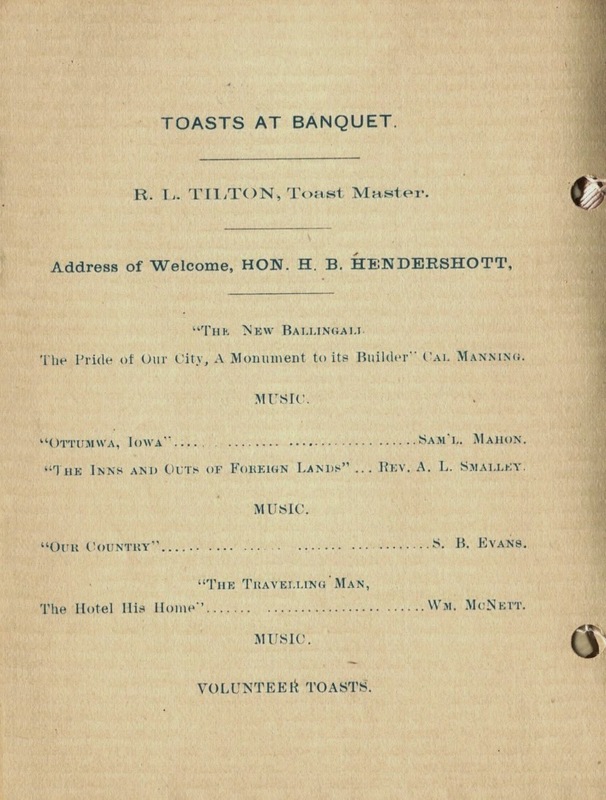 This menu also contains a program of speeches, including one titled “The Traveling Man, the Hotel His Home.” Although hotels like the Ballingall served as social centers for the local community, many of their transient guests were traveling salesmen. At the time, there were somewhere between 60,000 and 100,000 “drummers” in the United States. 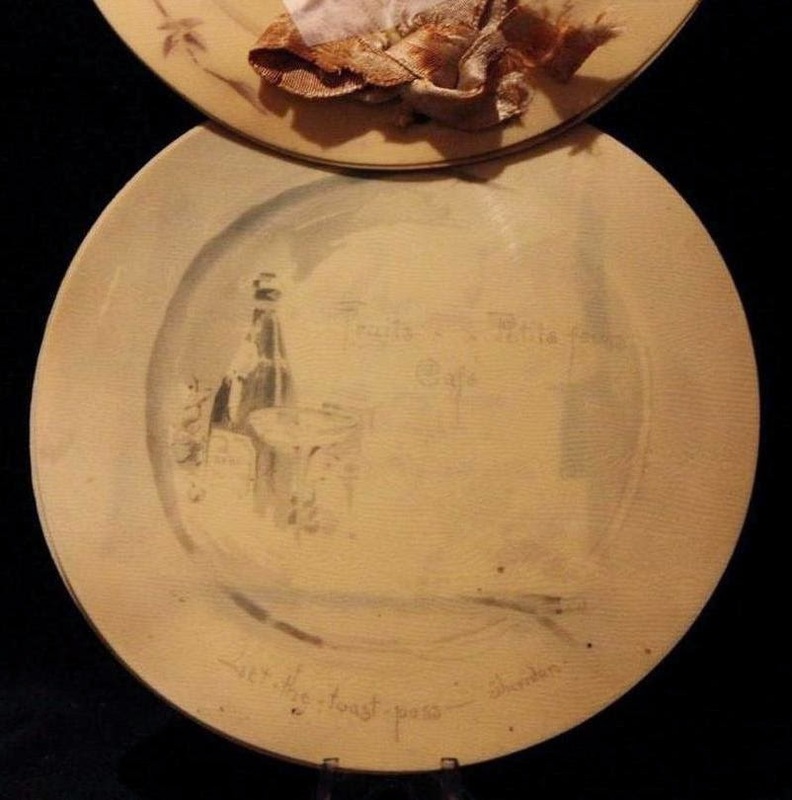 Constantly moving from place to place, they were an inescapable part of the social landscape. So far, I have found six celluloid menus, ranging from 1889 to 1896. Of these, four come from banquets in New York held by the Prudential Life Insurance Company—three at Delmonico’s and one at the Savoy Hotel. Interestingly, Prudential’s headquarters are located across the Hudson River in Newark, New Jersey, the same city where the Celluloid Manufacturing Company operated its large production complex. The Prudential menus are crafted in various sizes and shapes. Some feature scenes in brown grisaille; others are finely printed in color by the engraver Baldwin & Gleason. 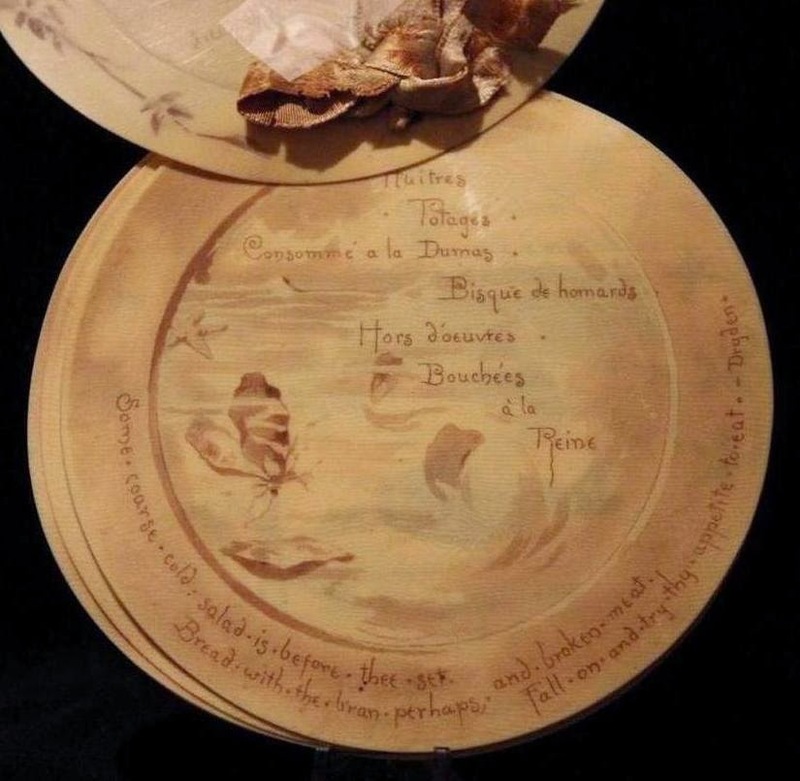 The menus were constructed either as small booklets, or as loose 8- x 5-inch sheets contained in specially designed cases. There would be as many as ten such sheets on which the courses of the banquet were printed. While these lavish menus must have been costly, the Gilded Age was a golden era for the life insurance business. During the 1890s, about half of American savings were locked up in life insurance or annuities. 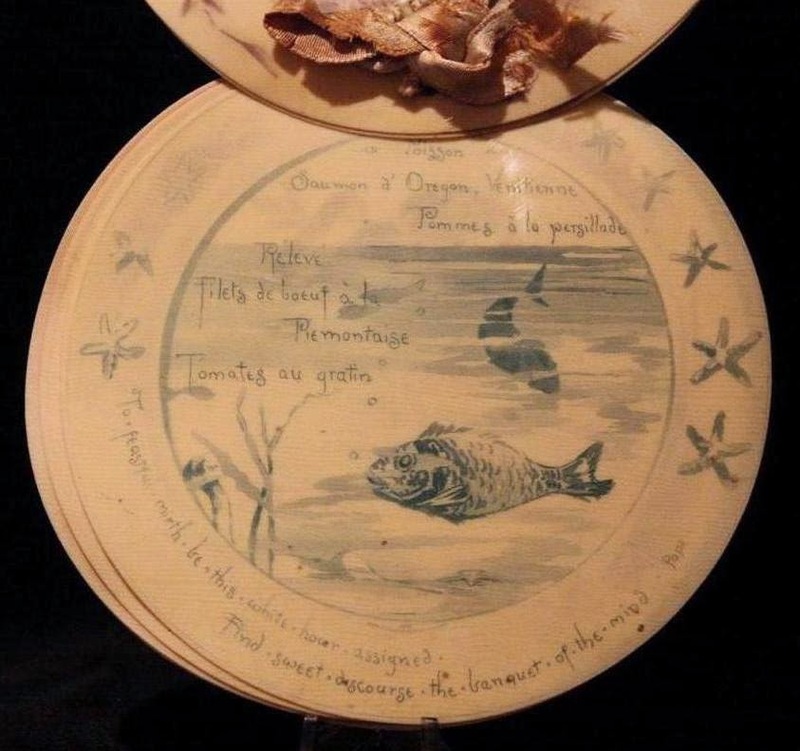 Stocks were considered playthings of the rich and banks often went bankrupt. Insurance companies, on the other hand, looked rock solid and paid dividends. The largest life insurance companies in the world then held up to six times the gold reserves in the U.S. Treasury. 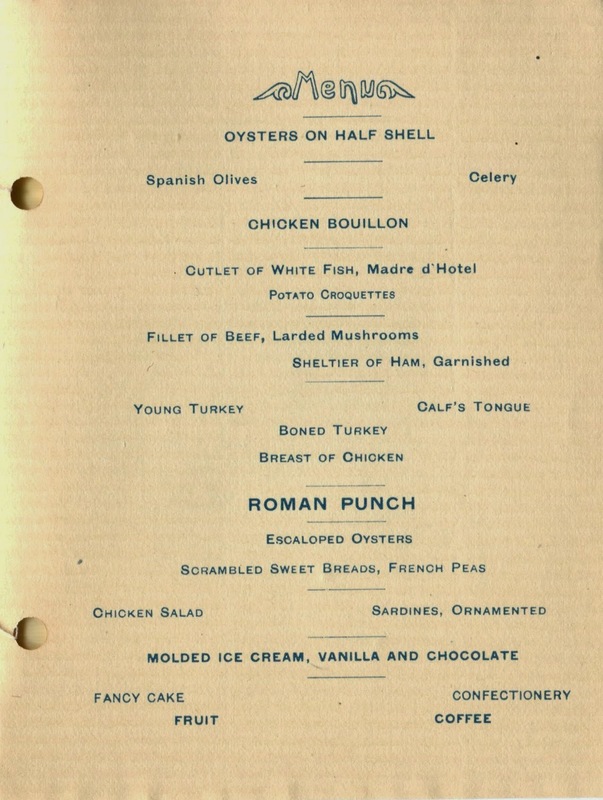 The oldest celluloid menu in the group comes from Prudential’s annual banquet at Delmonico’s on February 13, two days before the opening dinner in Iowa. 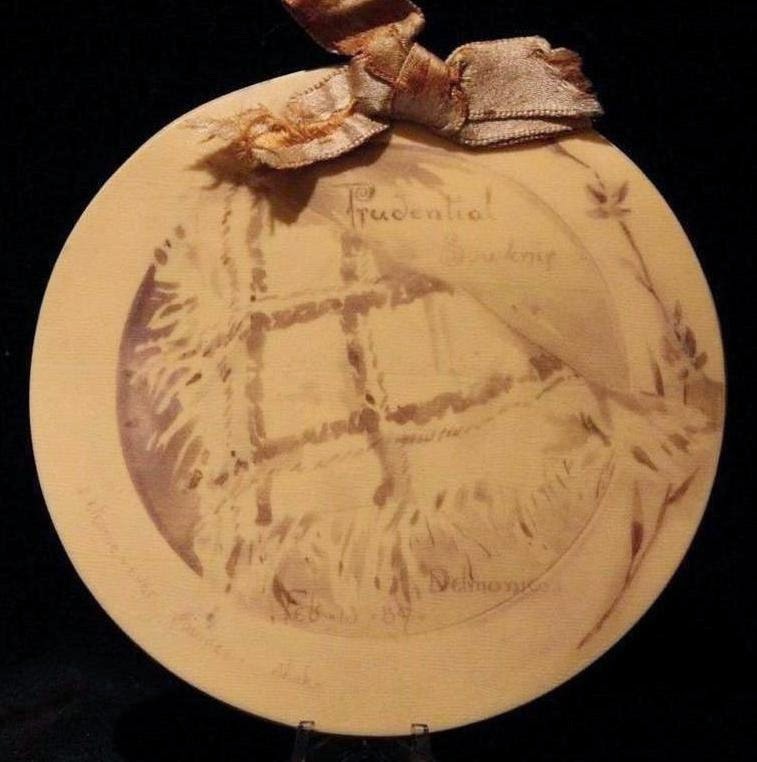 The monotone menu below is printed on eight 4½-inch diameter sheets that are fastened with a rivet and decorated with a ribbon. In 1889, more flexible celluloids were developed for use as photographic film which soon became the main application. It was exclusively used as the medium for motion pictures until the 1930s, when it began to be replaced by acetate film. Although it is no longer widely used, celluloid can still be found in musical instruments due to its excellent acoustic properties. Thanks for the lesson in celluloid. I never knew it was used this way. 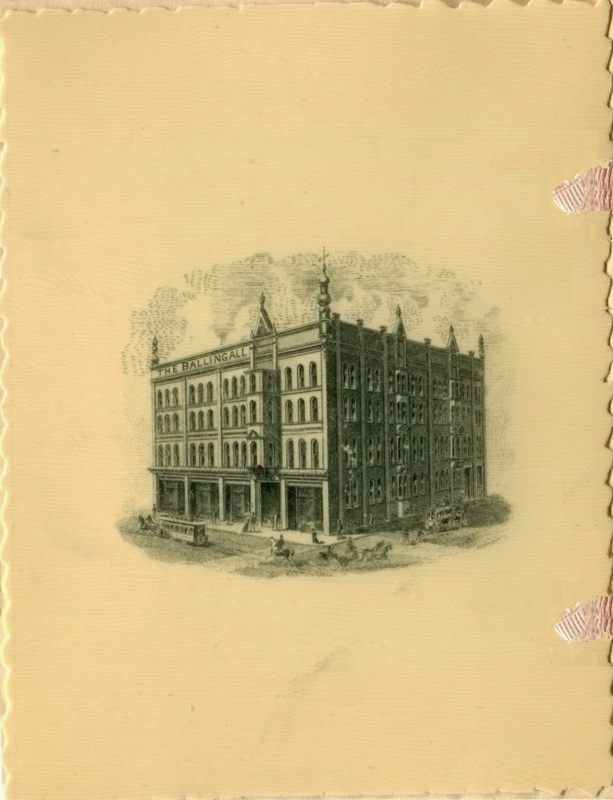 The Delmonico menu is a prize. 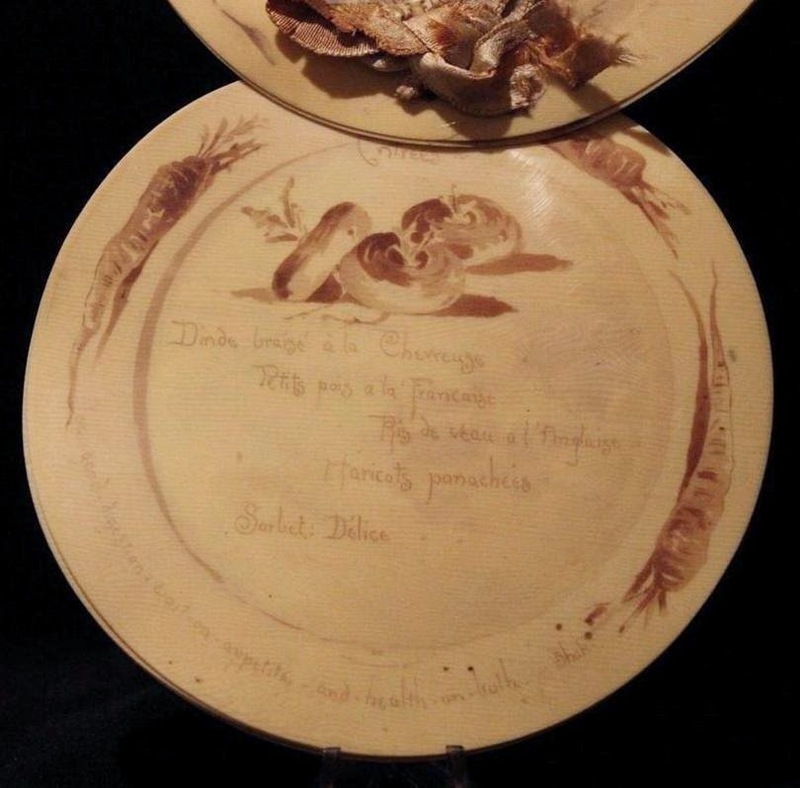 Celluloid is highly flammable -- hope none of them came too close to a candle! Interesting! Whenever I hear the word 'celluloid' I think only of old movie film. Now I'll think of old menus.